Health and life insurance is affected and influenced by numerous occupational and environmental issues and trends. The purpose of this course is to identify and examine these issues and trends and their relationship to life and health insurance. Topics covered include mold, mold contaminants, general liability implications, workers compensation, homeowners insurance, environmental and occupational diseases, asbestos exposure, terrorism exposure and underwriting health and life insurance. - Identify, know and understand Property Insurance Implications of Mold Contaminants. - Identify, know and understand General Liability Implications. - Identify, know and understand Professional Liability Expenses and Mold. Understand Workers' Compensation. 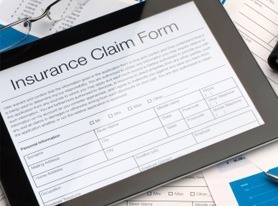 - Understand the relationship between Insurance Claims and Mold. - Identify and understand Factors Affecting Trends in Health and Life. - Identify and understand Trends in Occupational Health and Safety. - Understand Environmental and Occupational Lung Disease. - Understand the Ongoing Risk of Asbestos Exposures. - Identify and understand the Hazard of Long-Term Disability. - Identify and understand Trends Resulting from Terrorism Exposures. - Identify and understand Trends in Underwriting Health and Life Insurance. A great way to take CE courses and thorough.